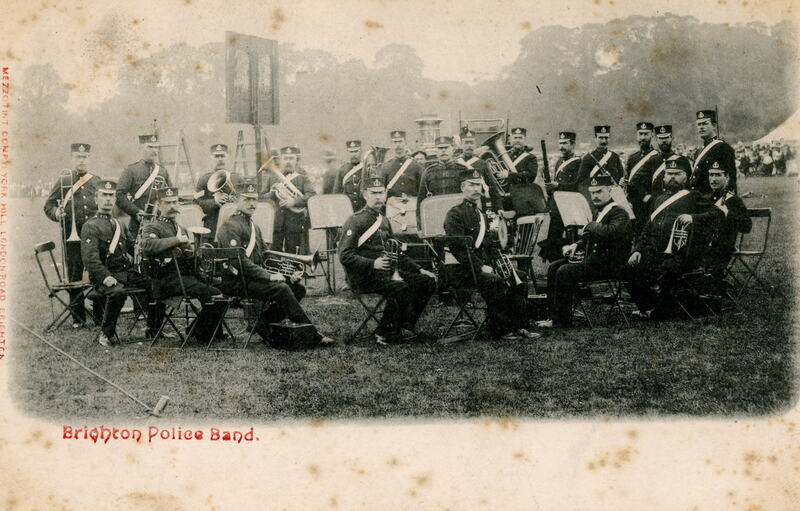 I recently came across this photo of the Brighton Police Band. I suspect it was taken about 1900 as my Great Grandfather was a policeman, and he was born in 1859. Unfortunately I have no idea what instrument he played, or whether he was actually in the band himself, although we have found a very old clarinet in the loft. If anyone can date the photograph or has any knowledge of the Brighton Police Band, please leave a comment below. Click on the photograph to open a larger version in a new window.